Harkins is committed to improving the lives of those among us who are most in need, and we reinvest a significant portion of our financial successes into many good causes. As important as this financial commitment is, what really makes me proud is seeing our employees giving their own personal time to help others. Rain or shine, our employees, spouses, and family members always come out to support those in need. I hope they inspire you to do the same. Here are just some of the programs our people take part in each year. Twice a month, Harkins employees choose a charity and donate $5 each for the privilege of wearing jeans on Friday. Employees contributed over $17,000 last year to twenty-five organizations, including My Sister’s Place, The Kids Safe Zone, St. Jude’s Children’s Research Hospital, Relay for Life, The Wounded Warrior Project, Special Angels Fund, Homeruns for the Homeless, American Red Cross Hurricane Harvey, and Hotdog Hill Sanctuary. Catholic Charities is the largest private provider of human services in the state of Maryland, helping more than 160,000 individuals each year. Harkins is proud to be a supporter of a number of their programs, including Villa Maria School and Gallagher Services. We are a platinum sponsor of the bi-annual Dragon Boat Races, which is a major fundraiser for the organization and an event in which a significant percentage of our employees participate. Harkins employees participate in various Habitat for Humanity events, including Women Build and Home is the Key. 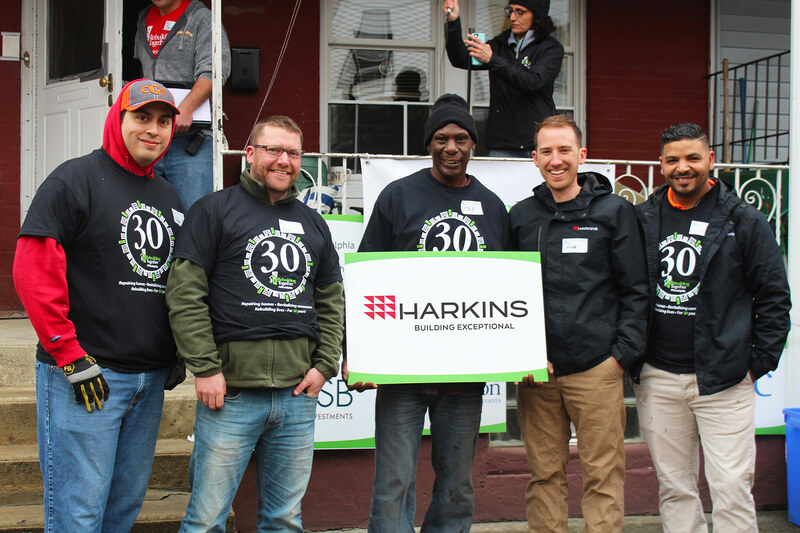 To commemorate our 50th Anniversary, Harkins partnered with Habitat for Humanity of the Chesapeake to completely renovate an abandoned property in Baltimore’s Govans neighborhood. The project offered a fresh start to a single father and his two young sons. Harkins sponsors multiple scholarship fundraising efforts at Howard Community College. Events include the HCC Columbia Classic Grand Prix (since 2002), the Vino Scholastico wine tasting event (since its inception in 2008), the Hunan Manor fundraiser for Silas Craft Collegians, the 5K Challenge Race, and the President’s Galas. Additionally, Harkins employees teach the Construction Management 101 class each fall. 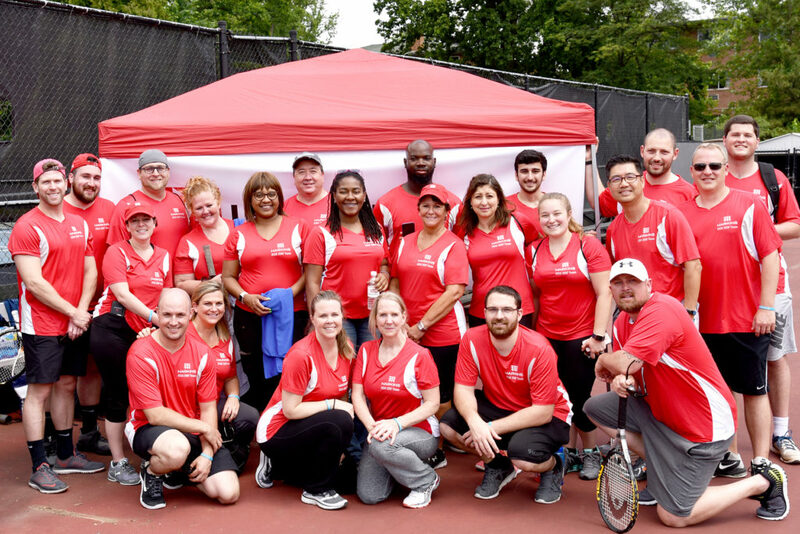 Harkins employees are always pleased to field a team in the JDRF Real Estate Games, an annual event that raises funds for Type 1 Diabetes research. Light the Night is a multi-city event organized by the Leukemia and Lymphoma Society, and Harkins is a major participant and fundraiser for the Baltimore edition. We walk each year in honor of our founder, Thomas P. Harkins. In Howard County, MD, our employees and their families complete a two-day extreme home makeover each spring to provide safety and comfort upgrades for a low-income family in Howard County, Maryland. In Philadephia, PA, Harkins employees participate in Block Builds, which provide much-needed home renovations to low-income inner-city families. And in Montgomery County, MD, Harkins women take part in She Builds, which helps low-income female homeowners safer and healthier homes.